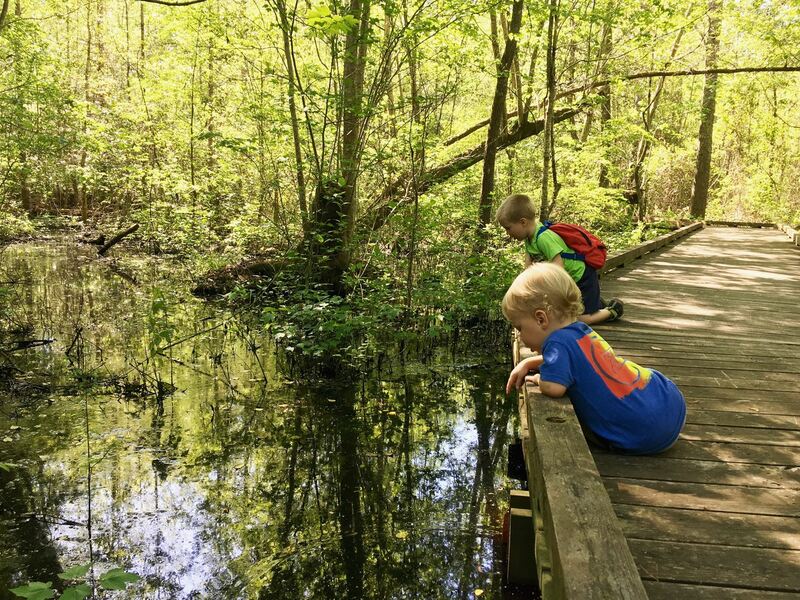 The Dismal Swamp State Park in South Mills is located just a few miles south of the VA/NC line in eastern NC and has miles of trails. The half mile boardwalk behind the Visitors Center is a Kids in Parks TRACK trail and features scavenger hunt sheets and other info at the trailhead. 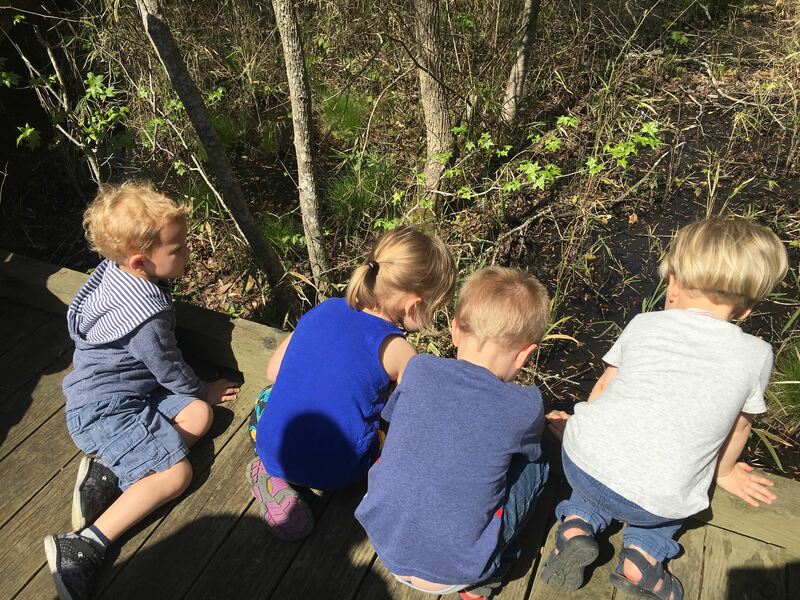 (https://www.ncparks.gov/track-trails) The short distance and wooden boardwalk are great for short legs and strollers – however, there is NO railing on the boardwalk, so wobbly walkers will need kept an eye on. While the mosquitoes and biting flies make this trail rough in the summertime, during the rest of the year it is a lovely and lush place to hike, and great for spotting wildlife. 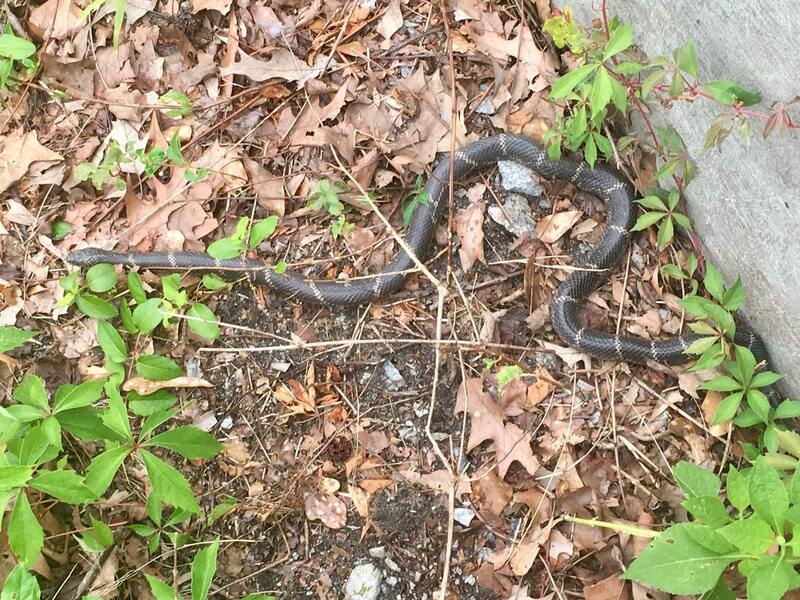 My kids and I have spotted deer, frogs, turtles, snakes, and even a black bear at this park. A variety of wildflowers can be seen at different times of the year, and paw paw fruits and seeds can be found in the fall. 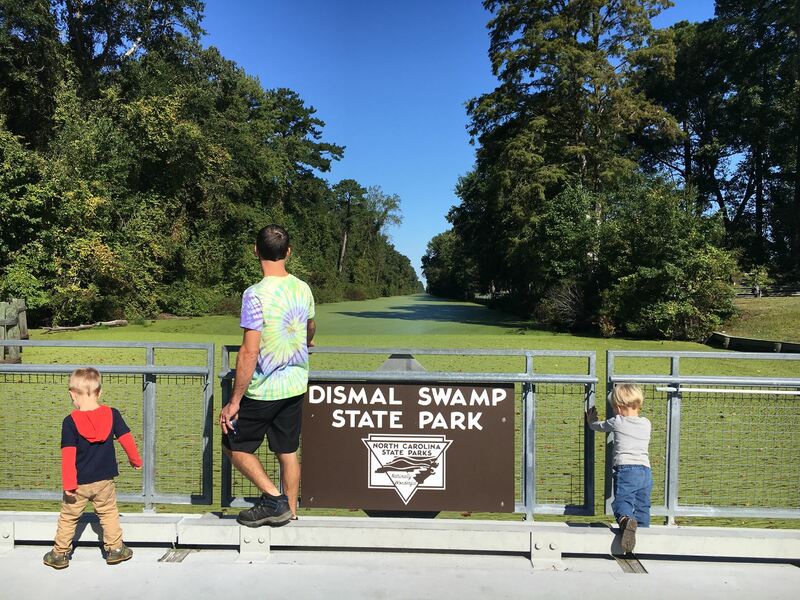 After walking the boardwalk, you can explore the visitor center to view lots of animal mounts, and to learn about the history and ecology of the Great Dismal Swamp. If you want to take a longer hike, you can explore the Canal Road or the Supple Jack trail. 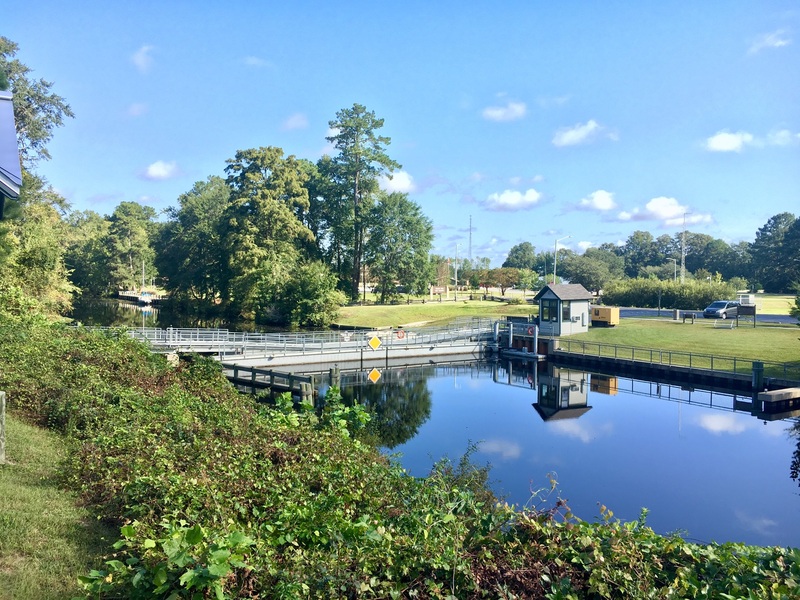 The Canal Road is 2.2 miles long and connects to other longer trails, and is great for biking, as well as suitable for jogging strollers. Supple Jack is shorter (about a half mile one way, a mile round trip), and exposed roots and tight turns make it inaccessible for wheels. All NC state parks are free to visit! Mom of 3 boys, residing in northeastern NC.